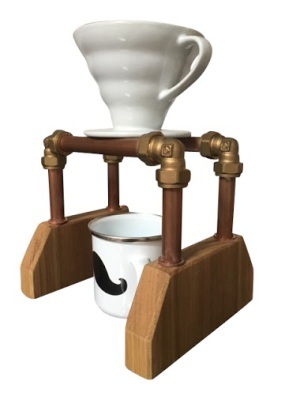 Bespoke, Hand-Made Brew Bars For Pour-Over Coffee Preparation. Another stylish design made from brass, copper and a variety of hardwoods - with a steam-punk feel to it. 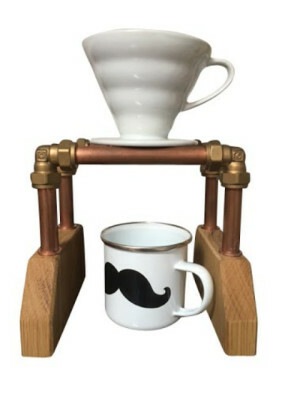 This bar is suitable for a range of drippers and can be constructed to hold several to create a multi-station brew bar. This model is finsihed with beaded edges and sealed, to prevent moisture ingress. This model should be wiped down only - it is not suitable full water submersion or dishwashers. The Brew Bar Company 2016. All rights reserved.